It's happening again this year. Whiskers In Wonderland. 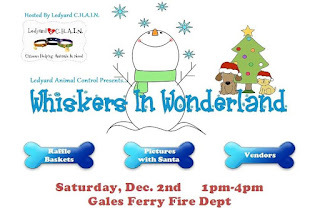 This event has been running strong every December for the past 5 years. This year, it'll be our 4th year participating. It's our favorite event and the only one we've continued to participate in. With the exception of the Annual Spring Festival and Craft Show in May of this year. We had our reasons for that. For the first 2 years, we had a single table. We offered bags o' biscuits in all shapes and sizes along with some holiday bundles. Last year, we had 2 tables. One was for our biscuits. The other was a bake sale table. I spent the entire day and night before the event baking goodies that included cookies, whoopie pies, Christmas popcorn munch and loaves of mini pumpkin and zucchini bread. This year, we have 2 tables. In addition to offering bags o' biscuits, homemade baked goods for the humans, and holiday bundles, we'll also have some DIY Dog Mom Projects up for grabs. We're going all out. Preparing for this event is a lot of work and requires me to blackout most of the week prior, but it's worth it. The people who host this event, Ledyard C.H.A.I.N are incredible. In addition, the people who attend this event are awesome. Lots of people. Lots of dogs and cats and ducks and hamsters, etc. Yes, ducks. Because having our pet duck photographed with Santa is a must. We are looking forward to this event and hope that Y'all can stop by to say hi. 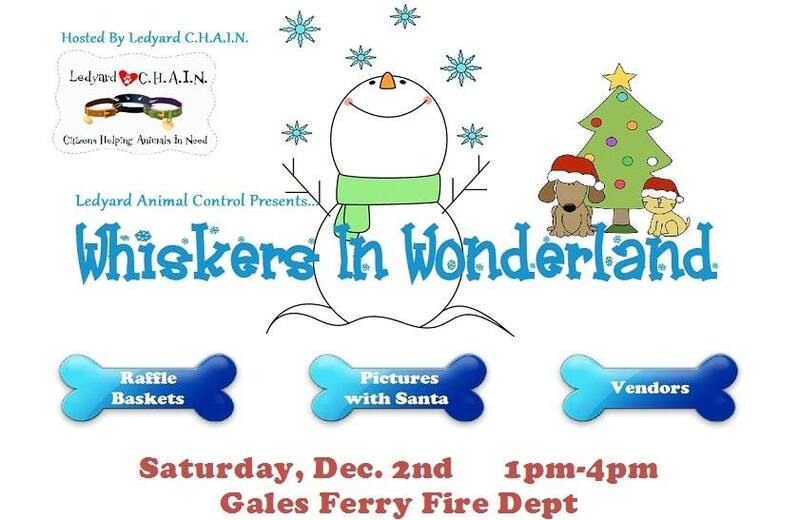 The date is December 2nd from 1-4 at the Gales Ferry Fire Department.